Because American History is fun. I promise. You’ve been drilled on the names of the men who signed that famous piece of parchment in 1776. Adams, Franklin, Jefferson, and Hancock are cemented in the American canon but there were sixty four men who fought and argued and begged for John Adams to shut up during that hot American summer. It would be impossible for schools to devote time in the already packed curriculum, so that’s why you have me. Dying to know about the men who weren’t American superheros but still made impacts that we still feel today? Buckle in, kids, this could take a while. Dickinson was born November 13, 1732 on the Eastern Shore of Maryland in Talbot County. Like most members of the future Congress, he was born well-off, and studied law at the Middle Temple in London for three years. 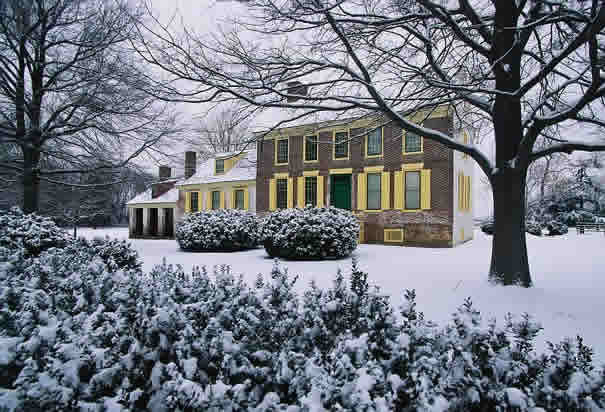 After his father died, he inherited one his Delaware plantations, known at Poplar Hall. (It’s open for tours!) Seems pretty average for a man of his time so far, right? If he sounds familiar, you probably remember him as the guy who got into the wicked cane fight with John Adams in 1776. The 1770s hit America kicking and screaming. And it also hit Dickinson’s social life. In July 1770, Dickinson married Mary Norris, whom he affectionately called Polly. Mary was well educated, owned a 1500 volume library, and ran her own property in Philadelphia. Dickinson was smitten. The two moved to Mary’s Philadelphia property, called Fairhill, and with their combined income, the couple was stupidly wealthy. Dickinson was a member of both the First and Second Continental Congress starting in 1774 and 1775, respectively, as a representative from Pennsylvania. Oh yeah, and he was adamantly against declaring independence from Great Britain. Wait, how could a Founding Father be against independence? No wonder we’ve forgotten him! First of all, rude. And second, chill out and hang on. Dickinson was far from a Loyalist. (Hell, he wrote a song called “The Liberty Song“) He repeatedly fought for an Olive Branch Petition to be sent to King George, which passed and obviously failed. On July 1, 1776, Jefferson presented his Declaration of Independence while Dickinson continued to rally that it wasn’t quite time. And when you think about it, he wasn’t stupid to think so. Great Britain had the largest, strongest Navy in the world and, at the time, were squatting right outside the Island of Manhattan, poised to attack. America had no navies and no foreign alliances. If we declared independence, we would be declaring war and would be left defenseless on the seas. On July 2, he was either not present, or abstained, from voting for or against the Declaration. He also refused to sign the document. And Adams starts a slow clap and everyone cries and it’s great. But actually, Dickinson did just that. Though we have no way of knowing what his exact words were (except for his Speech Against Independence, delivered July 1, 1776) he did join the Pennsylvania militia at the rank of a brigadier general, and lead 10,000 to defend Staten Island from the British. But his story doesn’t end there. He resigned from service in December 1776 and by 1777, he was Delaware’s wealthiest farmer and largest slaveholder. And during this time, he freed each and every one of his slaves. He was the only Founder to do so prior to 1786. However the process was not done overnight and took until 1787 until his slaves were legally free. Many continued to work for him for pay. So he’s more than funny quips in a (fantastic) musical. But Dickinson’s fabulous life didn’t end there. He prepared the first draft of the Articles of Confederation way back in 1776. donated his library to John and Mary’s College (now known as Dickinson College), represented Delaware at the Annapolis Convention, and served as President of Delaware from 1781-1785. 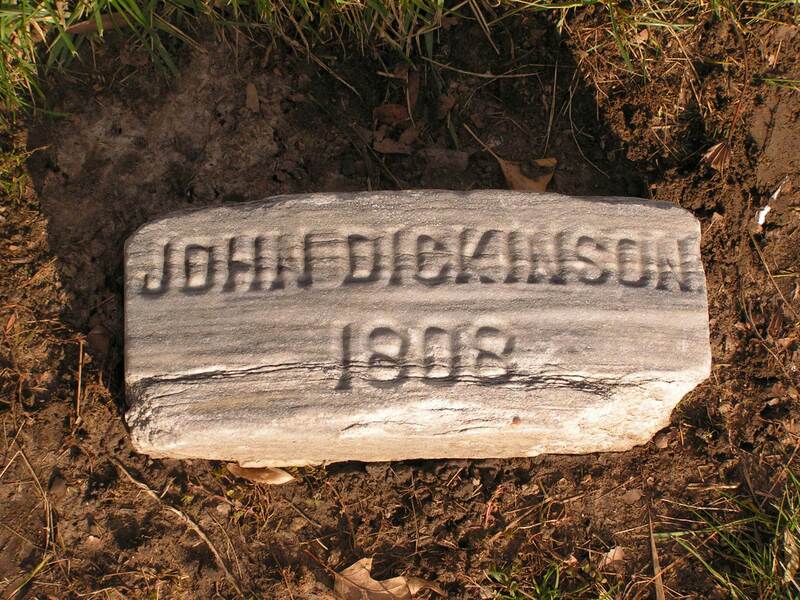 John Dickinson died on Valentine’s Day, 1808 and is buried in a modest Quaker grave. Who’s your favorite forgotten Founder? Leave a comment below! I would like to know more about Edward Rutledge. All I know is that he was the youngest signer. Did he continue to serve in the government? Did he own land and if so how did he get it? I adore Rutledge, and he’s one of the next to get a spotlight! I’ll try to answer those questions for you! noritz 6.6 gpm on Duel!